A Tagger size Scrap Elements Kit. Preview is 60% of the kit. In psp format. Beautiful kit Anita...thanks for sharing it with us at the group too!! 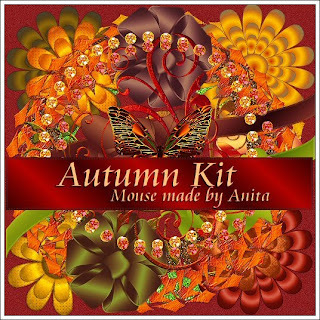 Thanks you for creating and sharing your beautifully coloured Autumn Kit. Much appreciated. Greetings from Australia.